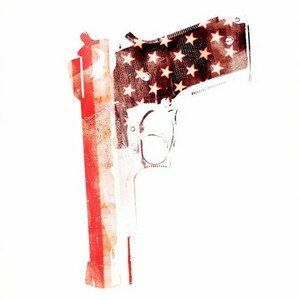 Over the last couple of months, we've seen nine different alternate posters for the Brad Pitt thriller Killing Them Softly. The tenth and final poster has arrived, which hints that bullets and guns are as American as apple pie, John Deere tractors, and Superman. Take a look at this tenth and final poster, collected here with the other nine pieces of original artwork in support of director Andrew Dominik's adaptation of the popular George V. Higgins novel.